The town of Hot Springs, NC has long since been a destination for those looking for therapeutic relief from their ailments using the natural, hot mineral springs for which the town is named. For over 200 years, visitors have been coming to Hot Springs to enjoy the springs and the mountain views. 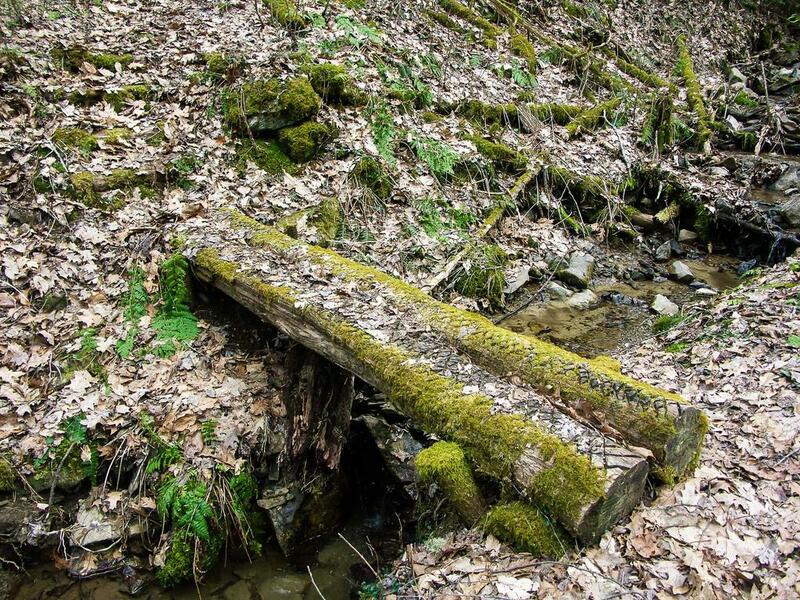 Today, Hot Springs not only boasts the springs themselves, but is well situated to be a great base for exploring the area's many hiking opportunities. 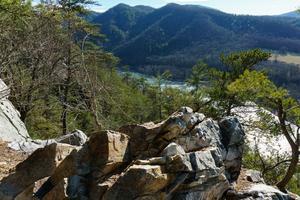 Hot Springs, French Broad River, and surrounding mountains from Lovers Leap Ridge overlook, early spring. 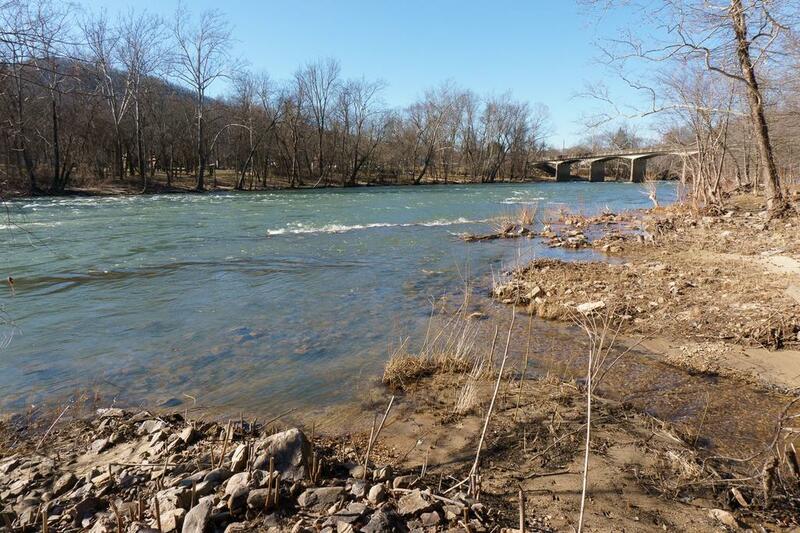 The actual spring is located where Spring Creek meets the French Broad River. These are the only significant thermal springs in the state, and one of the few on the East coast. Bridge Street is Hot Springs' main road and it actually has two bridges, one over Spring Creek and one over the French Broad River. 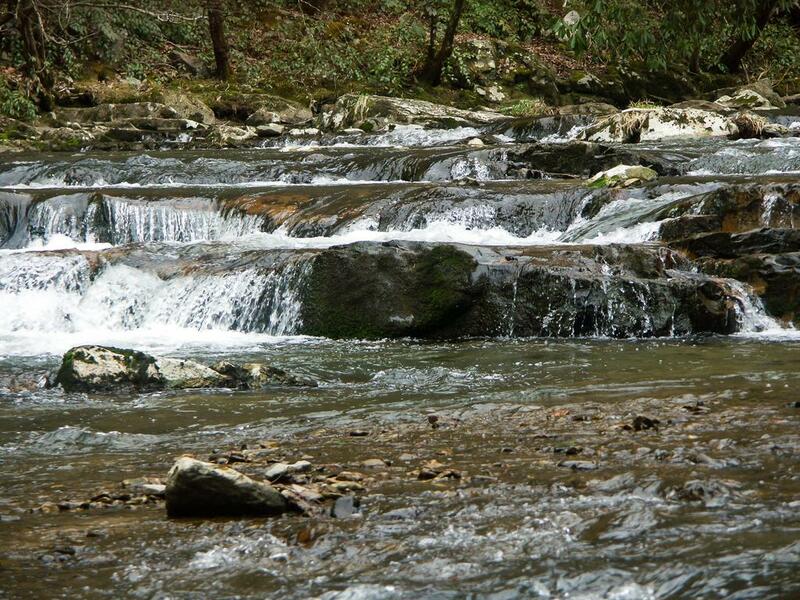 Both of these streams provide corridors for recreational opportunities in and around the town as they cut through the surrounding mountains. For more information on the town's history and the springs, visit the Hot Springs Tourism Association website or the private Hot Springs Resort and Spa website. 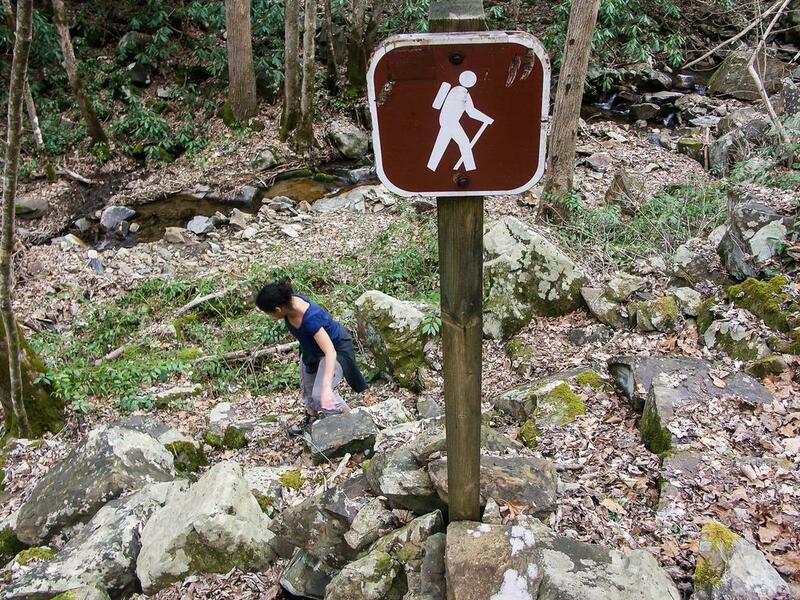 You can explore some of Hot Springs' hiking trails without even having to get in a car, while others are reachable via a short drive to nearby trailheads. 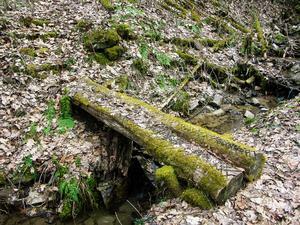 Hot Springs is also known as being an Appalachian Trail (AT) town, and the famous path runs right down Bridge Street. 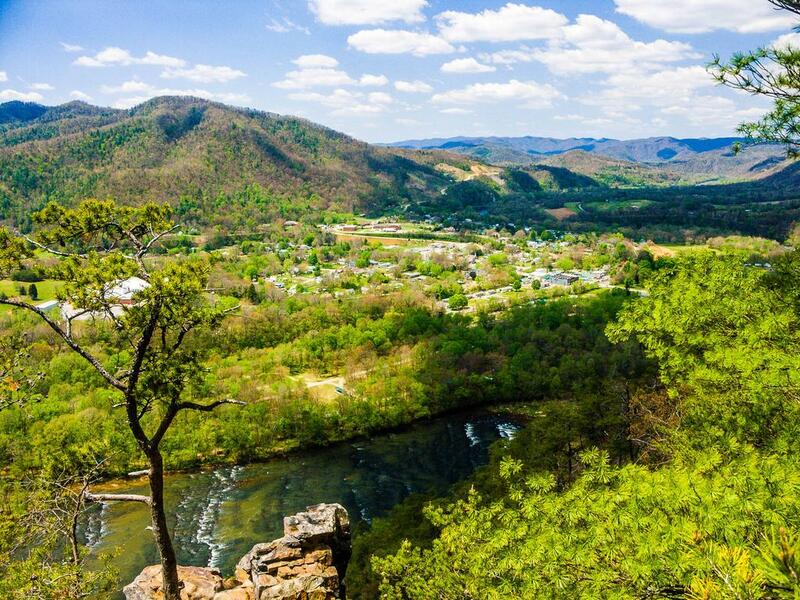 By following it north across the French Broad River bridge, you can hike right up to Lovers Leap Ridge for spectacular views back down on the town and the river! The Lovers Leap Trail can be used as an alternative to reach the overlooks on Lover's Leap Ridge, and it can be combined with the AT to form a loop hike. An alternative to walking across the bridge is to park at the Forest Service's Silvermine Trailhead on the other side of the river. Also starting at the Silvermine Trailhead parking area is the Pump Gap Loop Trail which intersects the AT in several places, making for longer loop hike options starting in downtown or at the trailhead parking. 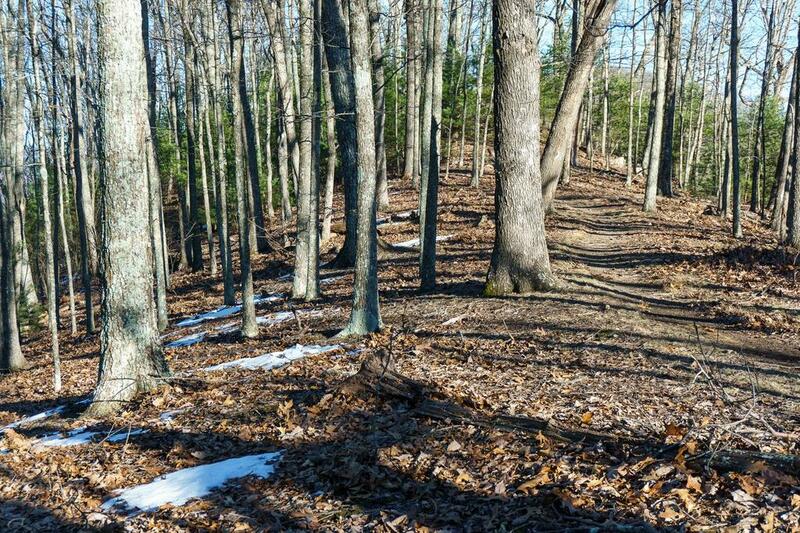 The Roundtop Ridge trail starts on Reservoir Road off River Road about 1/4 mile west of the US 25/70 bridge. So with a short walk along the road, you could climb from downtown all the way up to the A.T. near the Rich Mountain Fire Tower on the Tennessee state line. It provides a loop opportunity when combined with the A.T. 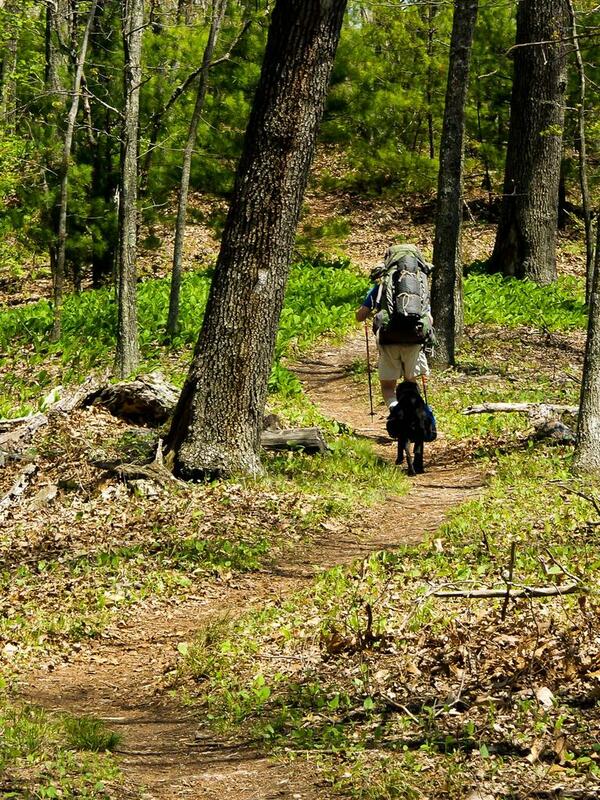 Although a hike to the Rich Mountain fire tower is most suitable for backpacking, it could be doable on a long day hike if you have lots of energy. 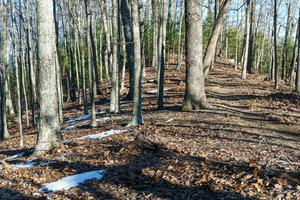 The little-used Mill Ridge trail lies a bit farther northeast of town and connects to the A.T. It's a loop trail, mostly on an old road bed, open to bikes, and with views down into the Laurel River gorge. 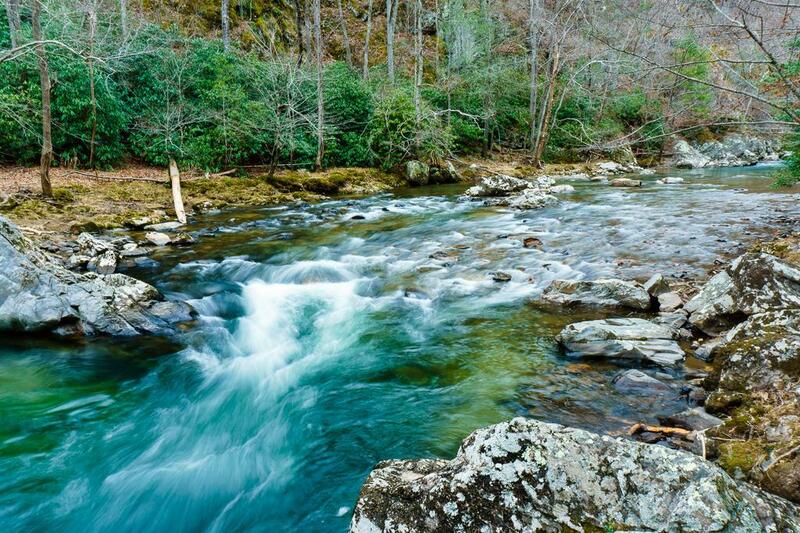 The very popular Laurel River trail starts on US 25/70 northeast of town and follows Big Laurel Creek downstream to its confluence with the French Broad river at the logging ghost town of Runion. This a long but easy walk on an old railroad grade. 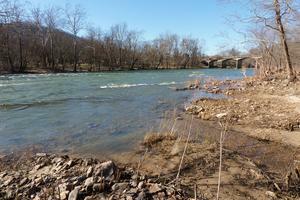 Big Laurel Creek flows into the French Broad River not far from Hot Springs. Several other trails are scattered throughout the mountains within 5-10 miles of downtown, including the Betty Place, Shut-In, Van Cliff, Spring Creek, Golden Ridge, River Ridge, and Jack Branch trails. Van Cliff and Spring Creek Nature trails form a loop. This is just an overview of the trails in the Hot Springs area. For a complete list, visit the Hot Springs Area Trails page. Located across the street from the Spa, this riverside campground provides full hookups for RV's as well as secluded tent sites, camping cabins, hot showers, and a convenience store with hiking and camping supplies. National Forest campground located at the Rocky Bluff Recreation Area. Located just steps from the AT in Hot Springs NC, our pet-friendly rental cabins offer a clean, well-maintained, and affordable place to stay. From the cabins, a 5 minute walk will get you to all of the restaurants and shops of Hot Springs, and a 10-12 minute walk will land you at the Hot Springs Spa where you can soak in our famous mineral waters! The town of Hot Springs provides several other options for lodging, including motels, cabins and Bed & Breakfast inns. Get more information from the Hot Springs Tourism Association. To request that your place of lodging be listed on this page, please contact us. Hot Springs is located on US Hwy. 25/70 about 26 miles west of the junction with I-26 in Weaverville (which is about 9 miles north of Asheville), or 6 miles east of the Tennessee state line (which is about 18 miles east of Newport, TN). Directions to the various individual trail parking areas will start from downtown Hot Springs.